Source: AIPAC - The American Israel Public Affairs Committee/Facebook page. EXECUTIVE SUMMARY: Israel and the United States have a long history of close intelligence cooperation. Apart from the regular provision of useful strategic and political intelligence, Israel’s wars against the Soviet-armed and trained Arab armies afforded invaluable insights into Soviet military doctrine and weapons systems. In the late 1970s and early 1980s, Israel made a unique and particularly valuable contribution by shedding fresh light on Moscow’s nuclear-equipped intercontinental ballistic missiles threatening the U.S. The intelligence cooperation between Washington and Jerusalem is one of the cornerstones of the strategic alliance between the two states. 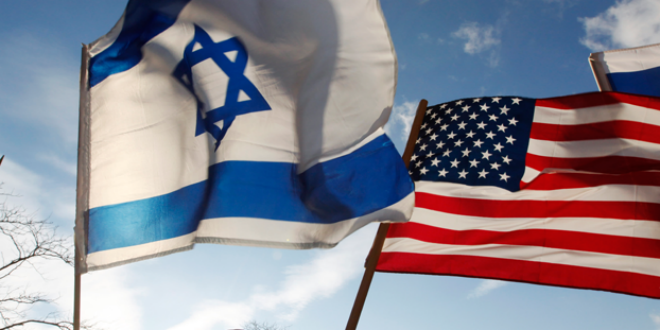 Given the extensive U.S. military aid to Israel along with Washington’s and the American public’s backing of Israel in the international arena, it has been widely argued that the alliance unilaterally favors Israel. In reality, however, the partnership has been bidirectional. From the global standpoint, Israel has provided a bulwark that protects U.S. and Western interests in the Middle East and has taken the brunt of Islam’s Manichean confrontation with Western civilization. To be sure, Israeli-American intelligence cooperation has encountered some bumps along the road. Thus, for example, Israeli prime minister Menachem Begin did not inform the Reagan administration of Israel’s plans to destroy the Iraqi nuclear reactor in 1981, even though the two intelligence communities had signed a memorandum on this issue about a year earlier; Washington responded by chilling intelligence cooperation with Jerusalem for a short while. Conversely, the U.S., along with Britain, kept Israel in the dark about secret contacts with Muammar Qaddafi in 2003, which led to the dismantling of Libya’s mass-destruction weapons program. Likewise, in May 2017 Trump reportedly shared with Russian foreign minister Lavrov sensitive obtained by Israel about ISIS’ terrorist plans. These mishaps notwithstanding, Washington and Jerusalem have maintained a strong intelligence relationship since the 1950s. The foundation for this relationship was laid in 1956 when the Mossad obtained the text of a secret speech by the then Soviet leader, Nikita Khrushchev, at the Communist Party Congress, in which he lambasted the tyrannical practices of his predecessor, Joseph Stalin. After the speech was published in the New York Times, the shock over Stalin’s crimes helped delegitimize the Soviet regime among the Western public. In 1966, an Iraqi pilot defected to Israel in a MiG-21 fighting aircraft. After the June 1967 War, Israel transferred to the U.S. a SA-2 surface-to-air-missile battery seized by the IDF. In August 1968, two Syrian MiG-17s landed by mistake in a Galilee landing site. In December 1969, during the Egyptian-Israeli War of Attrition, Israeli paratroopers raided an Egyptian radar station in Ras Gharib near the western shore of the Gulf of Suez, bringing back an advanced radar of the P-12 model. According to Professor Yuval Neeman, who, during the October 1973 War attended meetings of the cabinet and the IDF General Staff, Maj. Gen. Ariel Sharon’s division seized (on October 18) a complete Egyptian SA-6 surface-to-air-missile battery. Similarly, during the 1967 and 1973 wars, the IDF seized over a thousand Egyptian and Syrian T-54 and T-55 tanks. A large number of T-62 tanks, some of them intact, were captured on the Syrian front during the 1973 war. In his book Red Flag over the Mediterranean (2017), Pesach Malovany noted that during the 1982 Lebanon War Israel reportedly obtained unknown information concerning the Russian T-72 tank. Finally, in October 1989 a Syrian MiG-23 defected to Israel. An especially valuable Israeli contribution, however, involved a mysterious intelligence episode related to an issue of existential significance for the U.S.: the Soviet nuclear threat to the American homeland, and, indeed, to the survival of the Western world as a whole. The gravity of this threat was starkly demonstrated during the Cuban Missile Crisis of October 1962, when Moscow deployed nuclear missiles in Cuba about 240 kilometers from the Florida coast. Viewing the move as casus belli, U.S. President John Kennedy imposed a naval blockade on Cuba, leading Khrushchev to back down and to withdraw the missiles in return for the withdrawal of U.S. nuclear missiles from Turkey. At the time of this crisis, the Soviets had already gone far in developing nuclear-equipped intercontinental ballistic missiles. The first operational nuclear missile was the dual-stage R-16, which, along with its more advanced model the R-16U, formed the backbone of the Soviet strategic missile force, with a total of 186 launchers, from 1961 to 1976. In the initial years, the launchers and missiles were deployed on the ground and hidden in forests, but by the mid-1960s they had already been placed in underground silos. According to the available information, they were initially dispersed among nine sites across the Soviet Union: Nizhny Tagil, in the Ural Mountains; Yoshkar-Ola, about 640 kilometers northeast of Moscow; Bershet about 1,250 kilometers east of Moscow; Yurya, about 800 kilometers northeast of Moscow; Shadrinsk, about 1,650 kilometers east of Moscow; Itatka, in southwestern Siberia; Novosibirsk, in southwestern Siberia; and Krasnoyarsk, in the heart of Siberia. The dimensions of the missile were impressive: a height of over 30 meters and a diameter of about 3 meters. It had a flight range of 10,500-13,000 kilometers depending on the weight of the warhead. The missiles were equipped with three- to six-megaton thermonuclear warheads capable of destroying large cities like New York or Chicago. During the Cold War, U.S. intelligence had difficulty collecting information from behind the Iron Curtain, instead concentrating on technical means of collection, especially aerial photography: first by U-2 planes, then by satellites. Thus, particularly in domains of a clearly technological nature such as the Soviet nuclear threat, it was easy to err through over- or underestimation. Yet, the thick cloak of secrecy surrounding the Soviet Union was its Achilles Heel. It was the need to ensure secrecy in all areas of life that caused an “information explosion” by requiring to maintain huge databases in an endless quantity of cardboard files crammed with documents, and the more they multiplied the more difficult access to them became. Most likely, the personal files of not a few members of the Soviet defense establishment with a high-security classification were lost over the years, and at some point, after their retirement, their security classification disappeared. Indeed, they became free agents, but there were still some difficulties in locating them and gaining access to them. Against this backdrop, the Israeli intelligence community succeeded, in the latter half of the 1970s and the early 1980s, to provide its American counterpart with highly valuable, original information on the Soviet strategic missile array as it existed at the end of the 1960s. Based on the information that Israel provided, one could construct a detailed and quite accurate picture of the structure and dispersal of at least some of the Soviet army’s strategic missile brigades. The information also included details about the testing grounds for these missiles: they were launched from a field in Baikonur in Kazakhstan, or from the Plesetsk field in the Arkhangelsk region about 800 kilometers north of Moscow. The missiles were aimed at the Kora testing ground in the northern Kamchatka peninsula—more than 8,000 kilometers east of Baikonur and about 5,500 kilometers east of Plesetsk. At the same time, it appears that the main importance of the information was technical; it contained detailed technical data on the R-16 intercontinental missile and its operation. The data also included highly original information on the thermonuclear warheads of this missile. Another reported rumor concerned the “Kyshtym disaster” (Kyshtym was the city close to the site of the explosion). This was a radiological-contamination accident that occurred on September 29, 1957, at the Soviet Mayak facility for recycling irradiated nuclear fuel and extracting plutonium for nuclear weapons, which operated in the “closed city” of Chelyabinsk-40 on the eastern slopes of the southern Ural Mountains. The disaster ensued when the cooling system of one of the tanks, which contained 70 to 80 tons of liquid nuclear waste at a high radioactivity level, malfunctioned and was not immediately repaired. The nuclear waste in the tanks evaporated, and the high temperature caused a chemical explosion with the power of 70 to 100 tons of TNT. The cloud of radioactive fallout spread for about 300 kilometers, and over the next several years, thousands of people died as a result. Another anecdote that was reported and already known in the West concerned the Tsar Bomba — “king of the bombs” — an explosion of a 50-megaton hydrogen bomb, the largest explosion yield ever. The bomb was dropped on October 30, 1961, by a Tu-16 bomber over the Novaya Zemlya Archipelago in the Arctic Ocean — on Khrushchev’s orders with the aim of defying America: “We’ll show you!” The fireball that emerged from the explosion was eight kilometers in diameter, and when the blast wave reached Arkhangelsk, about 2,000 kilometers southwest of the explosion site, it caused ships in the harbor to crash into each other. The CIA expressed its gratitude to the Israeli intelligence community, noting that the received information was “unique” and had enabled the agency to adjust its intelligence overestimation on the issue in question. According to a senior CIA official, the information obtained from Israel indicated that the Soviet strategic missile technology was of inferior quality than the CIA had believed. The official said the US intelligence community had feared, because of the information gaps it faced, that by the 1970s the Soviets had already developed a technological capability to equip their intercontinental missiles with MIRV (Multiple Independently Targetable Reentry Vehicle) warheads. This technology enables the missile, when reaching the target, to strike a number of objectives simultaneously. Furthermore, if a MIRV warhead includes decoy devices in addition to nuclear bombs, it is more immune to interception. Thus, the Israeli information made a particularly important contribution to the US defensive capability against a Soviet nuclear strike. History, however, tends to repeats itself to a certain extent. The current nuclear threat to the US comes from North Korea, and, as in the 1970s and 1980s, the U.S. intelligence community has difficulty collecting and assessing intelligence. But, unlike the Soviet leadership during the Cold War, which acted in a rational and calculating manner, Kim Jong-Un’s main hallmark is his unpredictability. Lt. Col. (ret.) Dr. Raphael Ofek is an expert in the field of nuclear physics and technology, who served as a senior analyst in the Israeli intelligence community. He can be reached at rhofek@gmail.com. BESA Center Perspectives Paper No. 751. This article was first published at BESA Center Website on February 26, 2018, and is republished on IndraStra.com with Original Publisher's Permission. All Rights Reserved by BESA Center.